"Biography of and interviews with renowned poet Sam Hunt about his writing and his gradual retirement from touring"--Publisher information. From the far side of the room, an intimate, off-the-road journey into the life of New Zealand's best-known poet, Sam Hunt. Thirty years after Hogg and Hunt collaborated on the now-legendary Angel Gear: Off the Road with Sam Hunt, the pair have decided to throw caution to the wind and proceed without doctors' certificates, to create an older, possibly wiser twin to that earlier book. 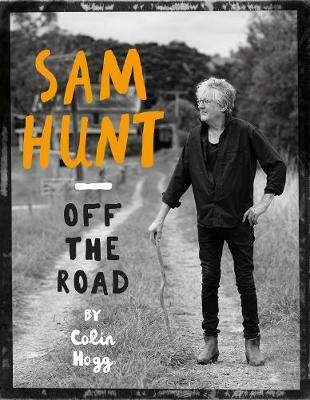 A backstage pass to the private side of one of our most public people, Sam Hunt: Off the Road is a wild, hilarious, no-holds-barred book about the non-stop life and poems of a man New Zealand thinks it knows, until now. Part conversation, part story-telling, part poems, it's also a book about friendship, solitude, love, death, self-destruction and endurance. With photographs and poems, some old, some new.